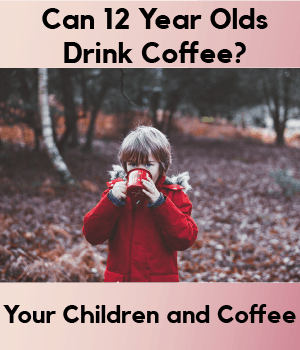 Can 12 year olds drink coffee? Now, the question of drinking coffee for 12-year-olds is a very sensitive one and different people feel differently about it. 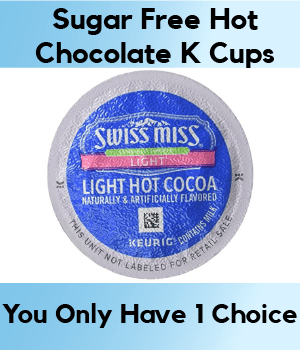 But the actual truth is that 12-year-olds can drink coffee because there isn’t any concrete health damage caused by coffee for teens – though there are a number of side effects if consumed without proper moderation. Provided the intake of coffee is controlled to the recommended limit, it can actually be good for 12-year-olds; but not younger. According to a study in Brazil, children who drink coffee are less likely to become depressed than other kids. And some other experts claim that when kids drink coffee in moderation, it increases their ability to concentrate and it helps them perform better in tests and school work in general. As a parent who cares deeply and wants only the best for your kids, the ultimate decision of allowing your 12-year-olds drink is yours to make. Despite the fact that coffee may not immediately cause any harm to teens, drinking it excessively can cause a number of side effects, like jitteriness, palpitations and insomnia. Although this habit shouldn’t be encouraged, but if teens are allowed to drink coffee, an 8-ounce cup in a day is more than enough. How much coffee is too much for a teenager? 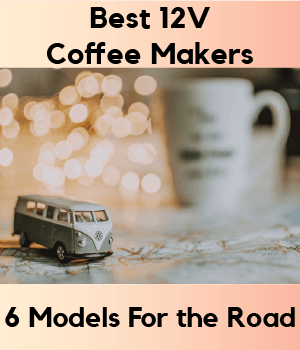 If you’ve been battling with the issue of coffee for your teens and have eventually come to the conclusion that maybe it isn’t exactly a bad idea to let them have some. Now, the next troubling question on your mind is; exactly how much coffee is enough for these teens and how much is too much? The truth is ‘coffee drinking’ for teens shouldn’t be encouraged because coffee contains caffeine, the world’s famous and most widely used stimulant, plus it’s also addictive. But if your teens must drink coffee, then moderation should be your watchword. Although the National Institute of Health in the US does not recommend any form of caffeine in the diet of kids, Health Canada has a different opinion. For kids between 4 to 6 years, Health Canada recommends a 45-milligram caffeine intake a day, 62.5 milligrams for those between age 7-9, 85 milligrams for kids between 10-12 years and for adolescents a daily caffeine intake of 2.5 milligrams per kilogram of body weight. Since an 8-ounce cup of coffee contains about 95 milligrams of caffeine, kids below the age of 12 shouldn’t be allowed anywhere near a cup of coffee. This isn’t to encourage you to allow your kids to take coffee but to help you ensure their coffee/caffeine intake is within acceptable levels. Is decaf coffee bad for kids? While brewing your morning coffee drink your little ones in their quest to be just like mum and dad may start clamoring for their own cups. As a parent, this leaves you wondering how best to solve the dilemma. And you may start thinking to yourself; maybe I should just let them have some? Or I can brew them a cup of decaf coffee, after all, it doesn’t contain any caffeine. But hold on a second! Decaf coffee actually contains little amount of caffeine and no it isn’t bad for your kids and they can have it every once in a while. 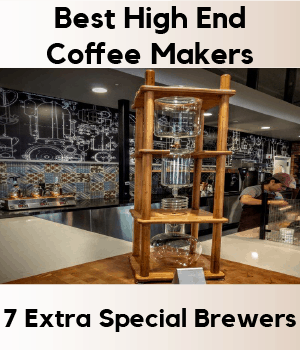 But before letting your kids take those sips, make sure you understand the possible negative implications of letting them have some and watch their coffee intake very cautiously. Ensure you moderate their coffee intake so it doesn’t exceed appropriate levels. What age is it safe to drink coffee? As a parent, if you’re wondering what age is safe for your child to start sharing your early morning cup of joe, or you’re a teenager asking for your own safety. Then be sure to know that ideally, anyone younger than 12 years shouldn’t drink coffee and it’s actually best to put off drinking coffee until you’re much older; say 17 or maybe 18 years. This is because coffee contains a high level of caffeine, which is a stimulant and also addictive. Caffeine is famous for its ability to wreck havoc on the nervous system and since it has been found that teens have a slower rate of caffeine metabolism, this makes them more susceptible to its many side effects. So the safest age to start drinking coffee is late teens. Should kids with ADHD drink coffee? When kids have ADHD, doctors usually prescribe stimulant drugs for them. This helps them stay focused and concentrate more. But when your kids are already on prescribed drugs for ADHD, do they need extra stimulation from the caffeine in coffee drinks? This is because kids with ADHD are generally restless and have trouble falling asleep, the extra stimulation that comes from coffee can really affect their developing brains adversely. If you’re still wondering why coffee shouldn’t be given to kids with ADHD since they could use the stimulation caffeine offers. Then you should know that despite the fact that caffeine is a powerful stimulant it hasn’t been scientifically proven to be effective against ADHD and it’s not recommended for its treatment. So if you have a kid with ADHD, your best shot is to stick with the drugs prescribed by your doctor and avoid coffee and any other caffeinated beverages. And if you need more clarification, it’s best to consult your doctor for answers. Drinking coffee comes with a number of scary side effects but stunting the growth of your kids isn’t one of them. Although there has been no proof that coffee can stunt the growth of kids, there are still some severe adverse effects for kids who drink coffee excessively. The most common of these side effects are insomnia, restlessness, nausea, palpitation, diarrhea and even reproductive problems like decreased fertility. Another disturbing fact is the tendency of kids to load their coffee drink with lots of milk and sugar to subdue the bitter taste, this gives rise to an equally unhealthy beverage. Despite the fact that coffee does not stunt the growth of kids, they still shouldn’t be allowed to take it.